Clayfibre is produced through the combination of recovered fibre from the waste of pulp mills fibreglass resin and clay. 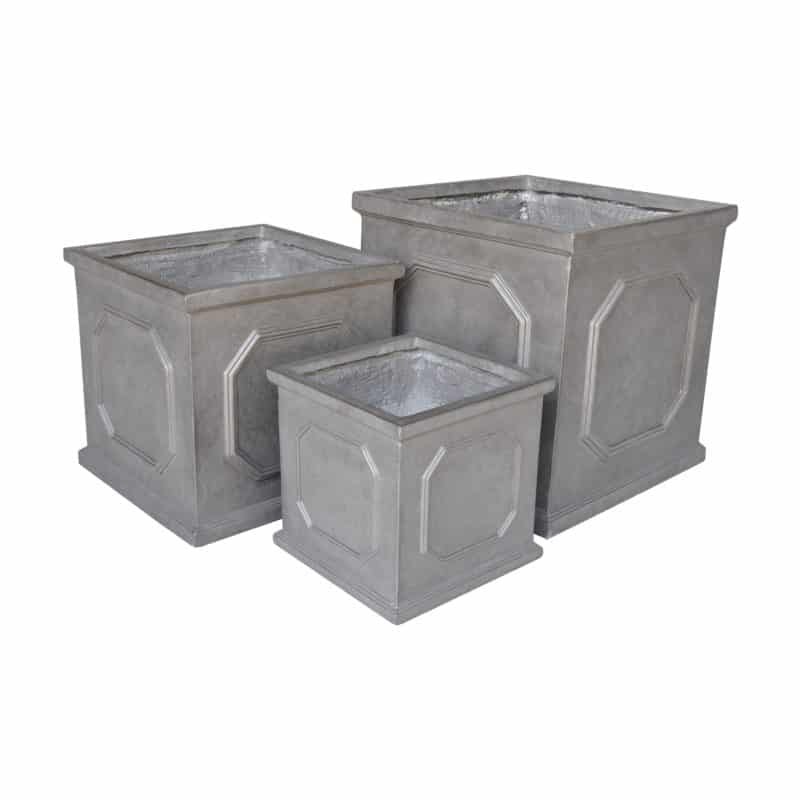 This therefore makes clayfibre planters one of the most environmentally friendly planter materials, with only 10% of the energy usage in production compared to other planter materials such as ceramics and plastics. An authentic appearance is achieved through the weathering process in which clayfibre emits salts, creating a cloudly appearance on the surface. Clayfibre is a very strong and rigid material which allows the soil to breathe through its pours. These light weight planters have a high frost resistance, allowing for them to be safe outside during the winter months. Clayfibre is a tougher and lighter alternative to terracotta, however it achieves the same aged look. The clayfibre range comes in varying shapes and sizes. These, planted up together, will create a great layered effect, adding a new dimension to your garden. The Clayfibre Trough Planters are perfect for a garden which lacks is privacy, you can plant these up with bamboos to present a screen. This is often a far more tactful and diplomatic way of securing the intimacy of your garden than putting up a fence. 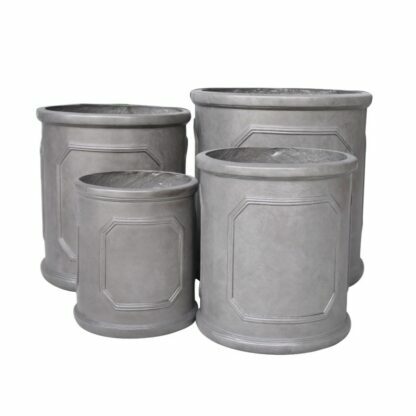 The Clayfibre Cylinder Planter is perfect for your garden. The symmetry of the product makes it easy to fit in anywhere. 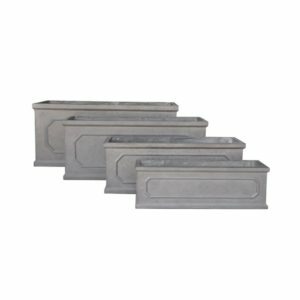 This planter is perfect for adding definition to your planting area, as well as highlighting entrances and exits. 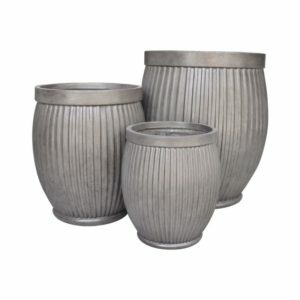 The Clayfibre Ribbed Barrel Planter is a classic and timeless piece that is perfect for your garden. 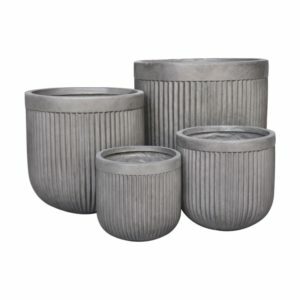 The ribbed design makes for a great centrepiece statement pot for with the barrel look design. The traditional shapes fit well with both modern and heritage gardens.